What would happen, if a person became a target for the Ministry for State Security? How was the system that gathered, stored and utilized large quantities of information, often in violation of human rights, kept up and running? How does the Stasi Records Archive preserve the records while making them accessible today? 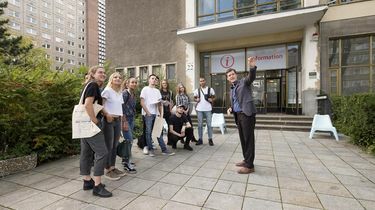 The tour offers an insight on how the Ministry for State Security worked and highlights the relevance of the Stasi-Records, today and in the past. 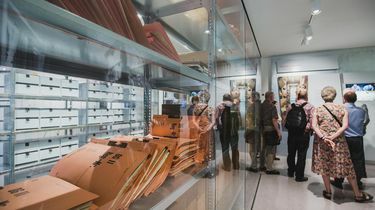 An oversized "walk-in file", an original index card paternoster, a sculpture of files – the exhibition shows the use of millions of index cards, paper files, video or data storage devices for the purpose of the East German secret police. An exclusive visit to one of the archive rooms allows visitors to experience the sheer mass of gathered data and gain and understanding of how archivists care for the collection today.